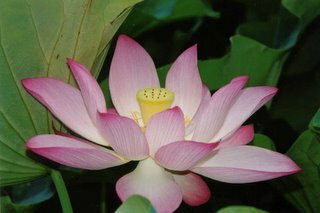 Talking about flowers and gardens, we remember one of the oldest flowers mentioned in our scriptures, the Lotus. By all means it is Indian. It was there in ancient India, it is here in modern India. It was regarded by all, specially by Hindus and Buddhists in ancient India as the symbol of purity. Growing in mud they remain free from any mud sticking. No dirt can stick to it. They are like sacred and virtuous men, who remain unaffected in the filthiest surroundings. We remember Sri Ramakrishna advising his disciples to live like pankal machh, a kind of long round fish, which lives in the mud at the bottom of the tank but remains free from any mud, though it eats mud. So lotus is born in mud, pankaja, but remains free from mud. A man or woman in ordinary life is sure to live in mud but rarely he or she is free from it, it is attached to his body and mind. How we long to become a lotus! In one of the stories in Mahabharata it is said that Bhima brought a lotus for his consort, which had one thousand petals, glowing like a sun. Its sweet heavenly fragrance could help prolong youth and revive beauty. According to another legend, Lord Vishnu was bathing in a lake on earth when a lotus bloomed and from within came Lord Brahma, who claimed that lotus was the prettiest flower one has ever seen on earth, though he agreed later with Vishnu that a particular rose, pale as moonbeam with sweet fragrance, blooming in Vaikhuntha, was prettier. Sri Rama of Ramayana worshipped Goddess Durga with blue lotus. He became ready to pluck one of his eyes in absence of one such flower which Durga prevented him to do. Sahasrar is the thousand petalled lotus, a subtle centre above our head, the highest centre according to Tantra Shastra. It is a favourite flower for all pujas. Sri Sankaracharya, in his Bhaja Govindam, considered life as a drop of water floating and dancing on a lotus leaf. But it is most unsafe as the human life is, tossed about by attachments, diseases and grieves. Nelumbo nucifera, sacred lotus - pointed bud on a long stem opening into large fragrant many-petalled pink flower with golden centre, was named as The Avatar- The Supreme Manifested on Earth in a Body - by the Mother. She also said that Pink lotus is Sri Aurobindo’s flower. And Nelumbo nucifera Alba - pointed bud on long stem, opening into large fragrant many-petalled white flower with golden centre, was called by her Aditi- the Divine Consciousness- pure, immaculate, gloriously powerful. It is said that Aditi is Mother’s flower. The madhu or honey, prepared out of lotus flower, is one of the best foods and medicines. It may be taken as food, may be put into eyes for treatment, may be used as medicine. Lotus stem is also cooked and eaten by some. Lotus leaf is used as dish for eating at some places. Every one likes Padma or kamal or tamarai, coming out of water and greeting the sun. The silky lotus leaf does not hold water. Drops of water look transparent in it. When rain falls profusely on lotus and lotus leaf, it makes a scene to rejoice. Poets have sung many a time about the transient nature of things symbolized by water drops on lotus leaf. In a Bengali folk song a young woman is said that her youth is like water on lotus leaf. But there is a caveat- it represents the characteristic nature of a flower. Out of its habitat, in a flower vas, a pot or anywhere, it does not last long, particularly in a hot climate. Dried lotus look not like what they were. But these are the attributes of life and death. So what! Don’t we love lotus? Wherever tanks and waterways are there, which are not much disturbed, grows the lotus, symbol of divine consciousness, fragrant and beautiful. Our heart goes with them.